I know many of us desire to have a safer home and an environment that is less toxic for our children to live in. And that is a good thing! 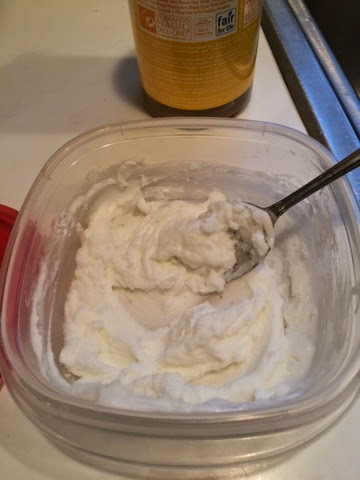 But instead of looking for the super over priced cleansers on the market, you can easily make one yourself to substitute for soft scrub, comet, etc. It is incredibly easy and very inexpensive! 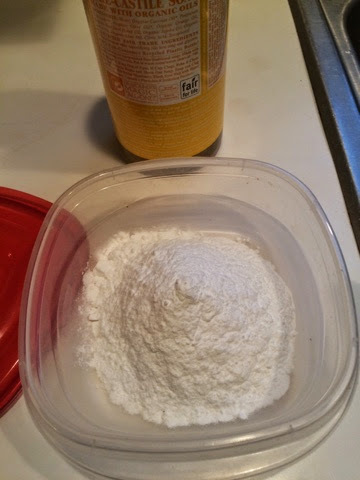 All you need is a cup of baking soda and some Dr. Bronner's soap. I like Dr. Bronner's. It is a pure castile soap, it's organic, and comes in a variety of scents. Lemon and peppermint is two of my favorites. You can use this soap on yourself!!!! Or you can use it to clean your home! Talk about dual purpose! And another thing... a couple of spoonfuls is all you need!!! 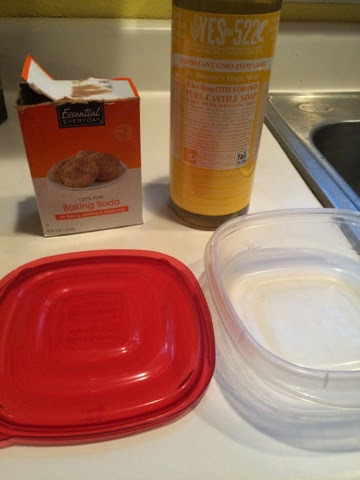 Pour your baking soda into a resealable tupperware container. 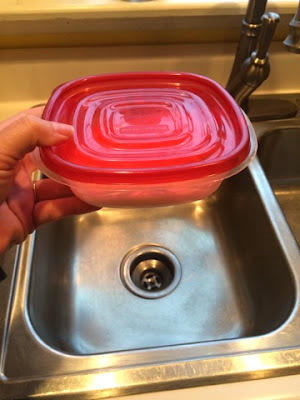 You need one of these because unless you are cleaning everything in your home, you will have plenty of leftovers! Now, add in your Dr. Bronner's soap. Like I said, it only takes a couple spoonfuls. 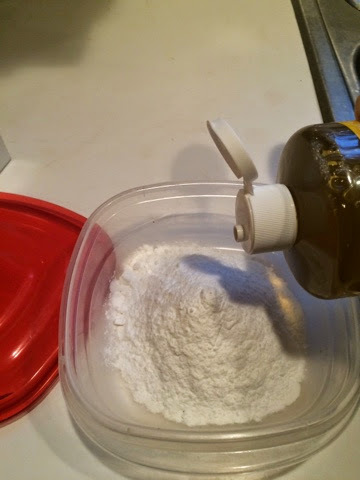 You want to make a paste, like the picture below. Then, you need to clean out your target. Mine is my kitchen sink. 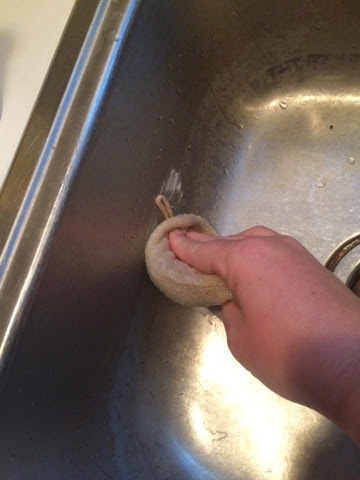 I've been making soap, mopping floors, washing dishes, my sink goes through a lot! I just applied my paste right to a scrubber. Scrub all over. Rinse off the residue and watch her shine!!! 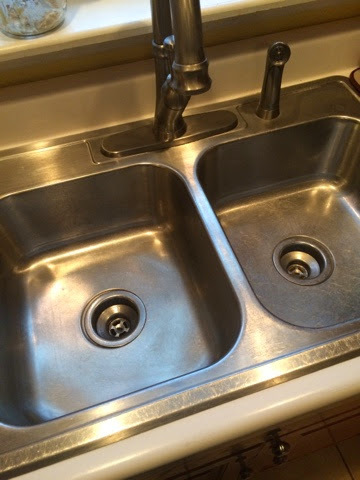 My sink is old and very well used, but she was so pretty and shiny when I was finished! Pop your lid on your container, label and store for next time. If it is a long time between, you may need to add a bit of water to loosen the paste slightly. 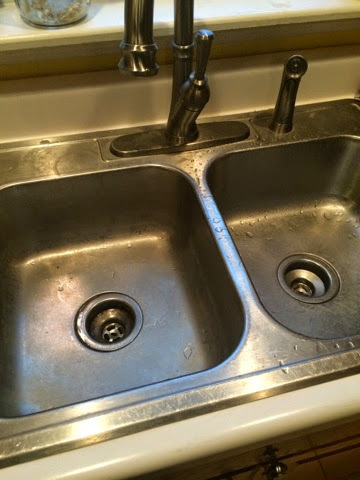 I use this on my counters, my bathtubs, sinks, toilets, stovetop... just about anywhere that needs a bit of UMPH to clean! OH! 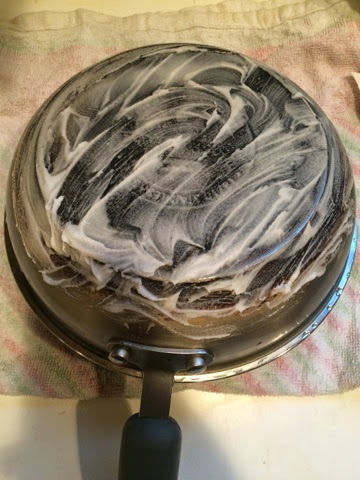 And don't forget the grime that discolors your stainless steel cookware! It works beautifully on there. My suggestion though is don't let it get as far-gone as I did. Sheesh... that was a workout! There you have it! 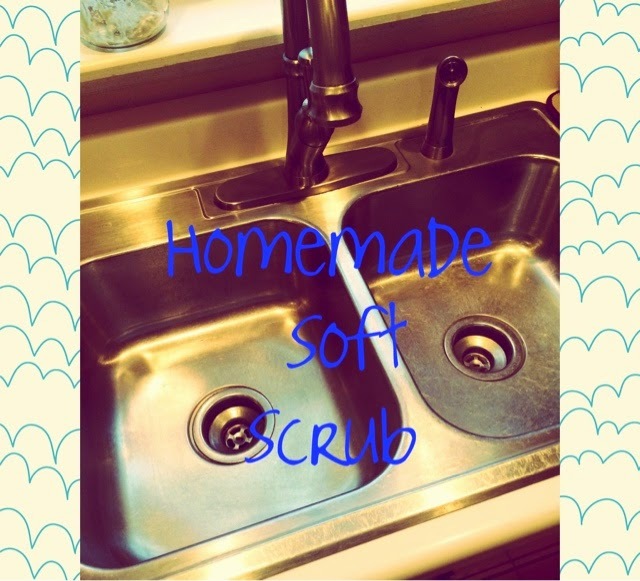 Easy, peasy, inexpensive, SAFE almost all purpose cleaners for you! I hope you enjoy and just think of all the other cleaners you could eliminate with this one batch! You will have a good bit more room under your kitchen sink! And I will too! I have been using this for a while and love it!